An alarming tragedy is unfolding in New Jersey – nine children have died as a result of a viral outbreak at a nursing home in Haskell, New Jersey. The New Jersey Department of Health has prohibited the facility from admitting any new patients until the outbreak has been resolved. The illness that has caused the outbreak is an adenovirus, which is a virus that infects the linings of the respiratory tract and other membranes. It is believed that this particular strain of adenovirus is one that flourishes in communal living environments. It is reported that a total of 25 patients at the New Jersey facility have been diagnosed with adenovirus, which manifests itself as mild to severe cold-like illness. Unfortunately, adenovirus can then cause other illnesses, such as bronchitis, diarrhea, and even pneumonia. 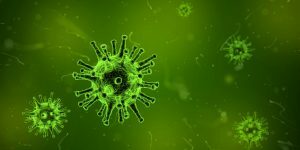 Most people can contract an adenovirus and recover fairly quickly, but any virus can be highly problematic for those with weakened immune systems or those who are already suffering from some other illnesses. This is why viral outbreaks can do so much harm in hospitals, nursing homes, rehabilitation facilities, and similar institutions – they are full of sick people with compromised immune systems. This is exactly what happened in New Jersey and why 9 children have died as a result of the outbreak. All of the children were already dependant on ventilators in order to breathe, conditions when a respiratory infection can be deadly. Adenovirus aside, any viral infection can be especially dangerous for someone who is recovering from surgery or suffering other major health issues. We don’t yet know whether the New Jersey facility was negligent and therefore responsible for the deaths of those children, but it is a question worth asking – we trust these facilities to care for us and our loved ones, and they should be held accountable when their negligence results in serious illness and especially death. If you or a loved one has suffered serious illness while in a healthcare facility, you may be entitled to compensation. The attorneys at Slappey & Sadd can evaluate your claim and help you understand your options. If you’d like a free consultation, contact us by phone at 404-255-6677 or email us via our online contact form.